Oldsmobile was one of the longest running car companies in the world when General Motors decided to close the brand completely. It was 107 years old when the final cars came off the production line. Ransom Eli Olds formed the Olds Motor Vehicle Company in Michigan in 1897 and was one of the first high volume manufacturers. He sold the company to a lumber magnate in 1899 who renamed it the Olds Motor Works and it wasn’t long before Olds clashed with the new owners – but not before he had developed the first true assembly line to build the Curved Dash Olds which was a two seater and sold over 19,000 units. It was a stationary line – unlike the one Ford pioneered that moved. Olds was ousted from the company in 1904 and by this stage the cars were called Olds Automobiles which got shortened to Oldsmobile. 4 years later in 1908, General Motors gobbled up Oldsmobile and started to share components with other parts of their group. It was the first true acquisition by GM which had been founded earlier in the year. Oldsmobile launched a car called the Limited Touring that had 42 inch wheels and a whopping 11 litre engine that produced 60 horses! 725 were sold even though it was more expensive that buying a house – today’s equivalent would be a top of the range and fully optioned Bentley or Rolls Royce! 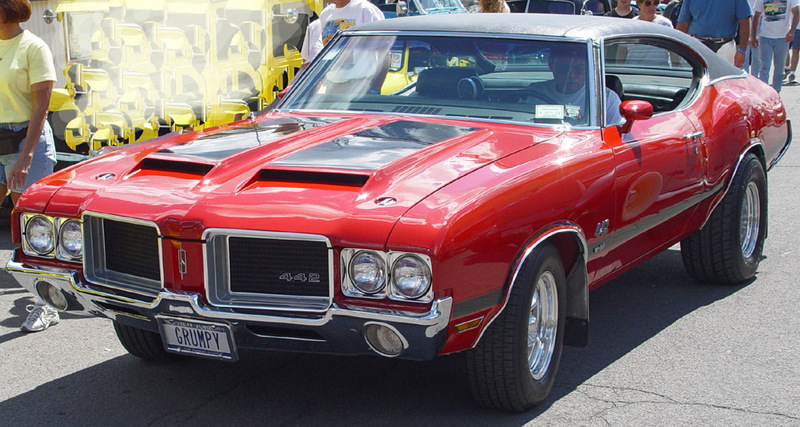 Like many conglomerates, GM positioned each brand into a market segment, but competition between the brands soon muddied the boundaries and so Oldsmobile encroached on Buick and Pontiac as they developed luxury sports vehicles. To me, Oldsmobile represents fabulous two door coupes which were powerful and stylish. 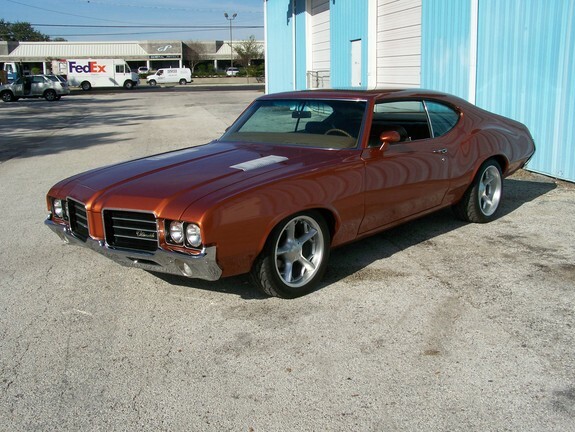 Pontiac were the raw sports and Buick the mid range cars. During the 1960s, Oldsmobile introduced the first production turbo engine (the Turbo Jetfire – see there’s more Rocket influence!) 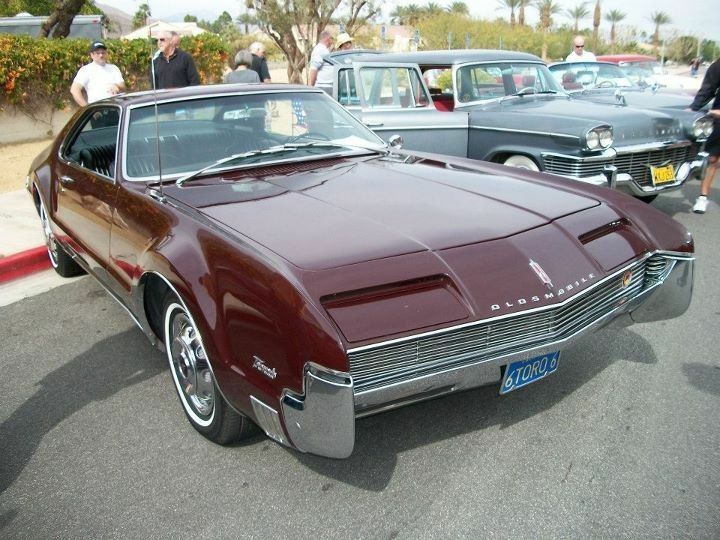 and the first large US front drive car, the Toronado – known as a personal luxury car, it appears to be a 2+2! They really were ahead of the times. It took another 10 years for a production mid sized European car to have a turbo! The 1970s and 1980s were the big decades for Oldsmobile with models like the Eighty-Eight (a square thing – not a match for the 1950s version! ), Ninety-Eight and Cutlass. Sales were so good that Oldsmobile couldn’t make enough of their high powered V8s so they used rebadged Chevy V8s as well. 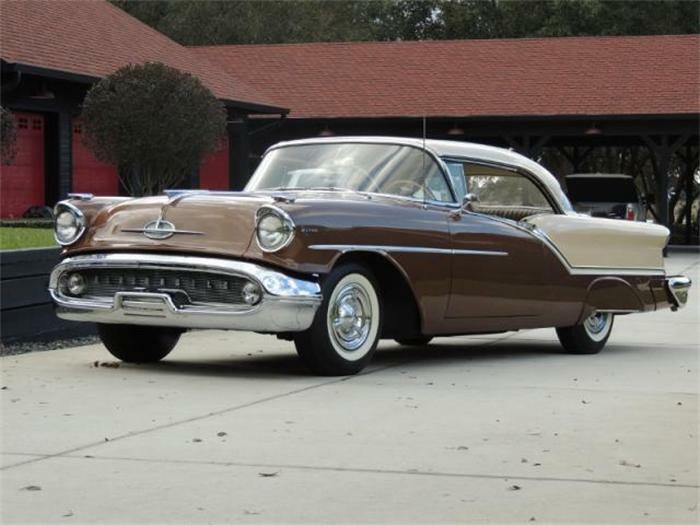 This became a PR nightmare for GM as the Oldsmobile customers who were very loyal to the Rocket V8 and had bought spares thinking their cars had the Rocket but found out that some models on the production line had Chevy engines instead! Then came the 1990s, Oldsmobile started to suffer reduced sales as Pontiac, Chevrolet and Buick produced better cars for the market and GM used Oldsmobile as a rolling test brand by introducing styling cues in the cars and if they were successful, they would get transplanted to the other brands. It was also a time for badge engineering with some cars being a slightly restyled car from a stablemate. 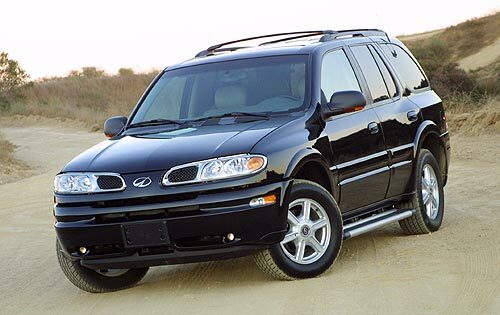 In 2000, GM announced the closure of the brand and in 2004 the last model, an Alero was shipped to the RE Olds Museum. So after 107 years, the brand was moth-balled. And talking of Mr Olds – after selling the Olds Motor Vehicle Company he founded the Olds Motor Company which was soon renamed REO (of Speedwagon and Flying Cloud fame) to stop a lawsuit from Oldsmobile (I can’t think why!) After REO stopped car production in the 1930s it reorganised itself several times and is now called Nucor, the largest US based steel company. The funny thing about GM is the sharing of model names across the world. For example, Oldsmobile used the Omega, Calais and Firenza names. Holden, Opel and Vauxhall have also used these names on different models over the years. First published: 25th June 2015. Updated 10th June 2018.